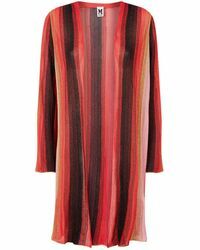 M Missoni was founded in the late 80s as a reworking of Missoni's much-revered Italian style. 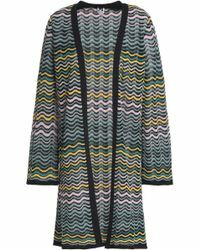 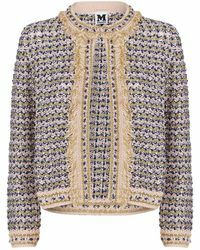 Taking inspiration from Missoni, M Missoni offers a youthful, fun and fresh take on the easily recognizable premium knitwear and vivid patterns. 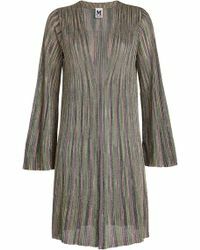 Easy-to-wear, elegant and designed to be worn come day or night, work or play, a quick change of simple accessories ensures that every M Missoni piece is perfectly wearable whatever the occasion or season. 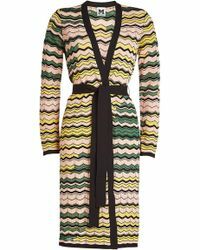 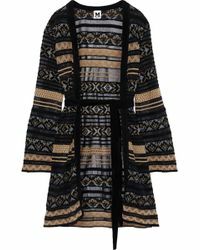 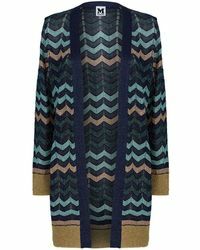 Best-known for knitwear, this collection of women's M Missoni knitwear is fit-to-bursting with must-have styles. 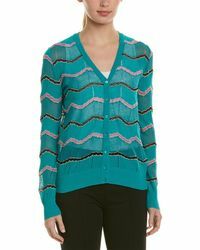 Choose from bold chevron cardigans, knit tops, slub-knitted pull-overs, crochet tank tops and off-the-shoulder sweaters.